Some time ago, my good friend Ian (whose birthday it JUST SO HAPPENS TO BE!) got me into English Premier League soccer. 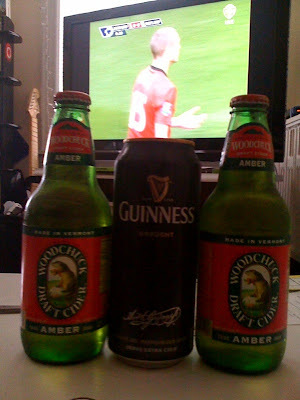 We started watching matches in the early morning, often times with either cider and/or Guinness. This was before my 'beer awakening', you see and at the time I would just reach for the whatever was available at the local supermarket. So the other day when I woke up with just minutes to spare before the start of Manchester United v. Sunderland, I realized it had been quite a long time since I'd had a cider. So I quickly set the DVR to start recording the match and headed out to track some down. My first thought was to grab Magner's Cider, since I remembered that to be one particular cider served at the famous Nevada Smith's, a great place to cram in and watch any and all European Football. Unfortunately, I found that ciders are not exactly easy to come by in my neighborhood and ended up with two Woodchucks and a Guinness, unable to find Magner's. So, here is my question. What makes a good cider? Is there a cider equivalent to beeradvocate? And also, is Guinness acceptable to buy? I only got it because it was more of a nostalgia factor. Questions, questions! 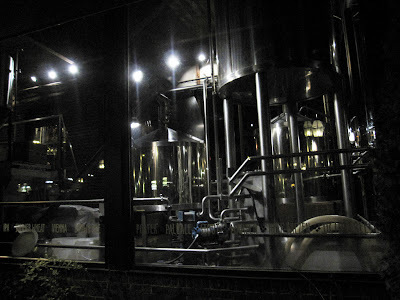 This past weekend I visited this little brewpub in southern New Hampshire. Nestled in the Colony Mill Marketplace in the small college town of Keene, this little craft beer oasis is a great stop on any tour through New England. While there, I had the Modanock Mt. Wild Hop Ale, the Pothole Porter and the Irish Stout. This ended up being a late night visit, so it was somewhat truncated, but I also had an order of their wings, which were top notch. Our good friends over at HereForTheBeer.com recommended the Pumpkinfest Ale, unfortunately as you can see above, it was only being brewed now. I probably just missed it. Oh well. 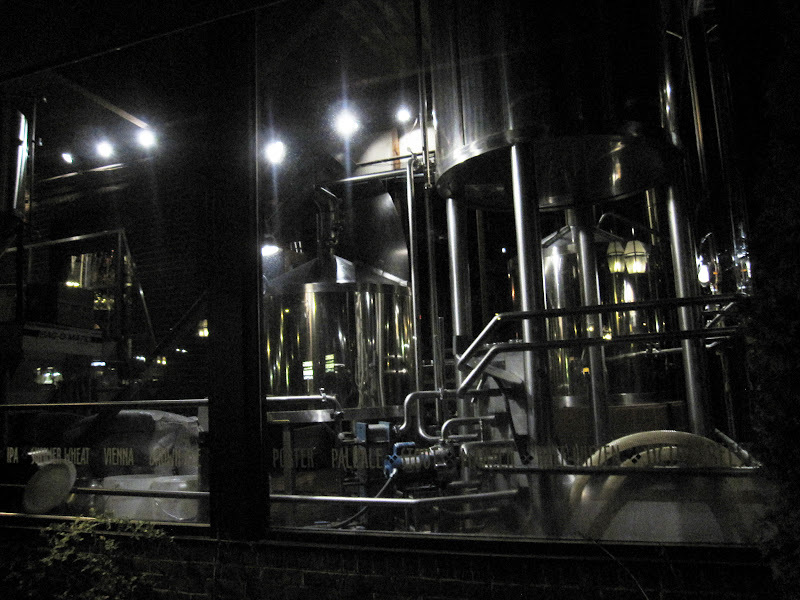 A poorly taken photo of the brew tanks from the exterior. Organic certification is a guarantee that our beer and its ingredients were produced without the use of synthetic fertilizers, pesticides, or genetic engineering. Decades of evidence demonstrate a wide range of environmental damages caused by these practices. Pesticides find their way into target and non-target species, working their way up the food chain through insects, fish, birds, and mammals, with devastating effects at the individual, species and ecosystem levels. Chemical fertilizers drastically alter the nutrient balance in terrestrial and aquatic ecosystems, causing soil nutrient depletion, microbial community disruption, invasive species spread, algal blooms, hypoxic aquatic kill-off, trophic collapse, and eutrophication. Furthermore, organic farming is a critical tool in mitigating global warming. Studies show that organic farming practices significantly increase the soil’s carbon sequestration rate by preserving proper nutrient balance. And organic farming is typically less mechanized and less dependent on manufactured inputs, meaning it uses less fossil fuels and emits less greenhouse gas than conventional farming. Anyways, onto the beer itself! The only other organic beer that has struck a chord with me is the Peak Organic Espresso Amber Ale which is excellent, but that's not to say that the Wolaver's IPA isn't good. That seems to be the problem with the organic beers I've tried so far, most of them are just good. We finally got around to transferring our Number 3 barleywine that we brewed a few weeks ago. It had exploded despite our addition of a blowoff tube, so we really braced ourselves when tasting it. Surprisingly, it tasted GOOD! And right now it's sitting at about 8.5%, which is lower than we tried for with the recipe, but we chalk that up to adding 5lbs of malt that was probably too old. After accounting for those 5lbs, we pretty much hit our mark dead on. You can see above how much trub ended up all over the primary fermenter. I don't think I've ever seen so much of it on the underside of the lid before. Can't wait to be drinking this in the winter months! – Ticket distribution starting at 5:30 PM. If you want 3 bottles, please request 3 tickets. – Cash and credit cards (Visa, Mastercard, American Express, Discover) will be accepted. No checks, please. 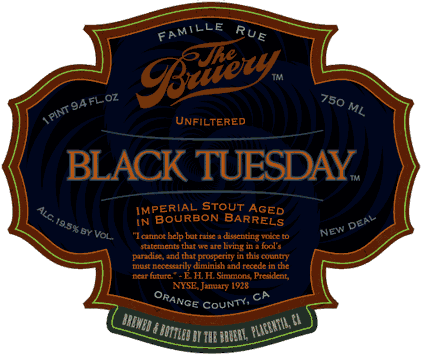 – 2010 Bruery Reserve Society memberships will also be for sale at this time. More details coming soon. – Light complimentary snacks will also be served. 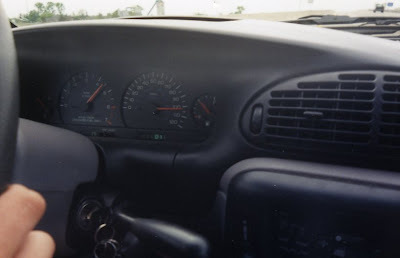 This one really does well with age. Both photo AND beer provided by Jeff Quinn. Anyone know anything about this beer? 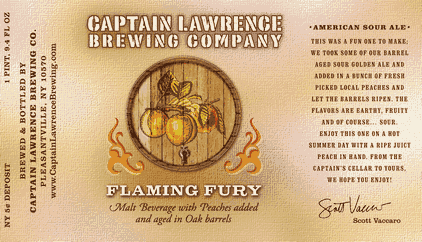 It's the first time I've seen it and there doesn't seem to be any reviews on BeerAdvocate (except for this and this which are noted as special July 4th brews). 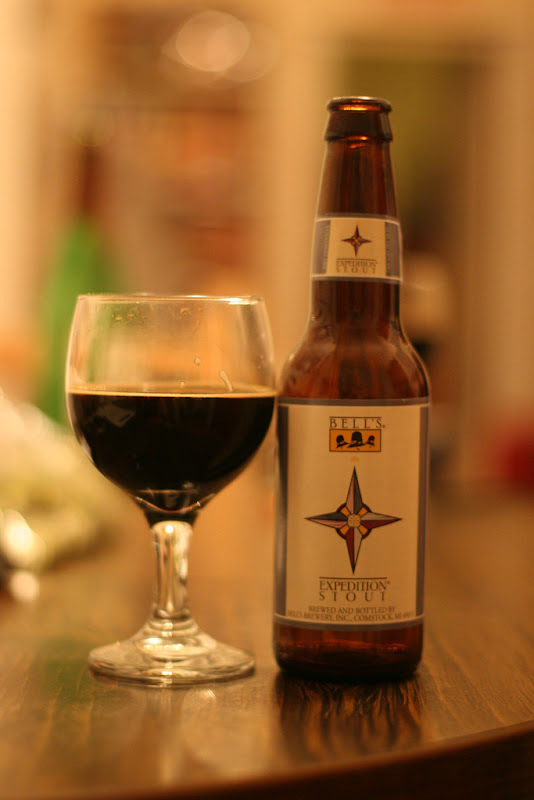 This beer has a WHOPPING 3.10% ABV and has some nice sour notes. Very sessionable. From The Bruery - Brewed in memory of my Grandparents (Fred and Sarah Hottenroth), this tart German-style Berliner Weisse is as authentic as it gets. We used lactobacillus and a hint of brettanomyces to sour this very unusual, low gravity wheat beer. To cut the tartness for those with sweeter tastes, raspberry or woodruff syrup is a traditional way to sweeten the beer. Almost an extinct style, we hope to help revive the Berliner Weisse in memory of two great people. 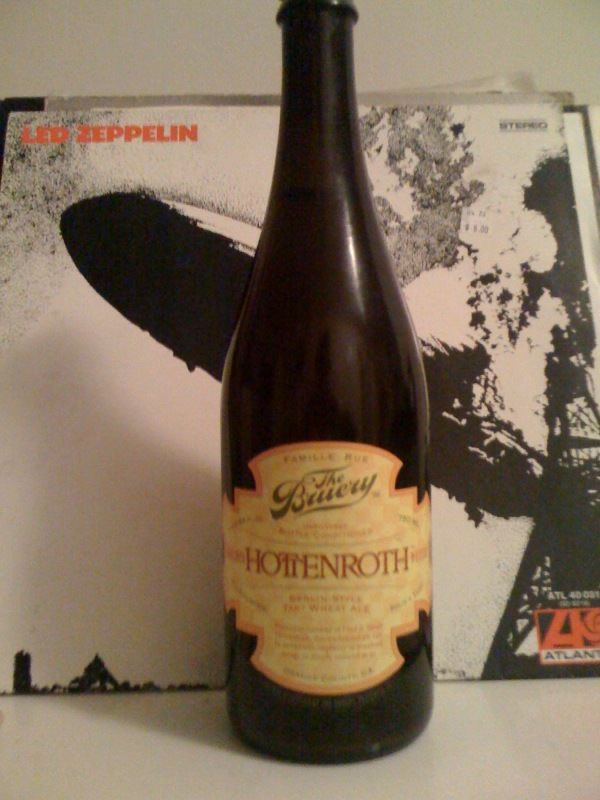 The Bruery – Hottenroth Berliner Weisse – Poured from the growler (Filled at the Source) into a pint glass. Website specifies 3.1 % abv. Appearance: Cloudy, dull pastel yellow. No head to be found, and just cloudiness in the body. Taste: Lemon, green apple, and sour funk. 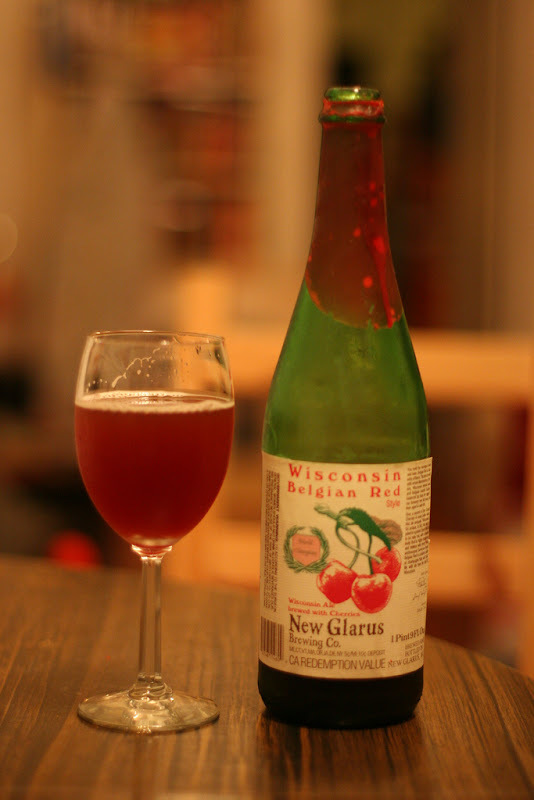 Mouthfeel: Not super thin, a little bit puckering. Overall: Super refreshing, super sessionable, and something I’d rather drink than lemonade or iced tea on a hot day. Setup to take-down in 1 minute! The Great American Beer Festival from Brewers Association on Vimeo. Dale's Pale Ale from a Firkin with Nugget Hops! In case you haven't been there lately, Bierkraft in Park Slope Brooklyn has evolved quite a bit in recent months. 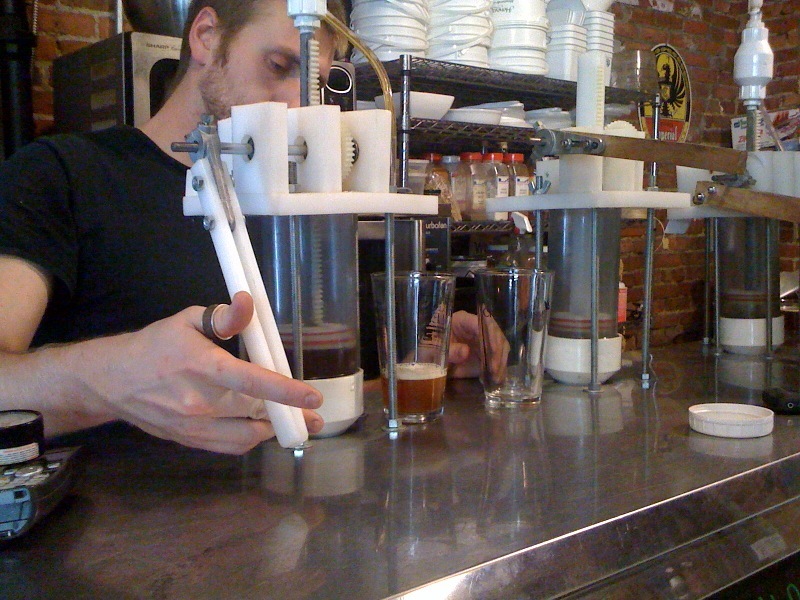 They now serve sandwiches and draught beer right in the shop! There's picnic style tables that you can sit at and enjoy a few pints. Also new for them, having cask beer! Pictured above is their drawing system that they designed themselves. Last night I was fortunate enough to have a casked pint of Oskar Blues Dale's Pale Ale that had nugget hops sitting inside the firkin! Dale's is already an excellent beer, so this was a real treat. Go down there and check it out yourself!